It was a glimpse of the reality for the students in the room at life after graduation. 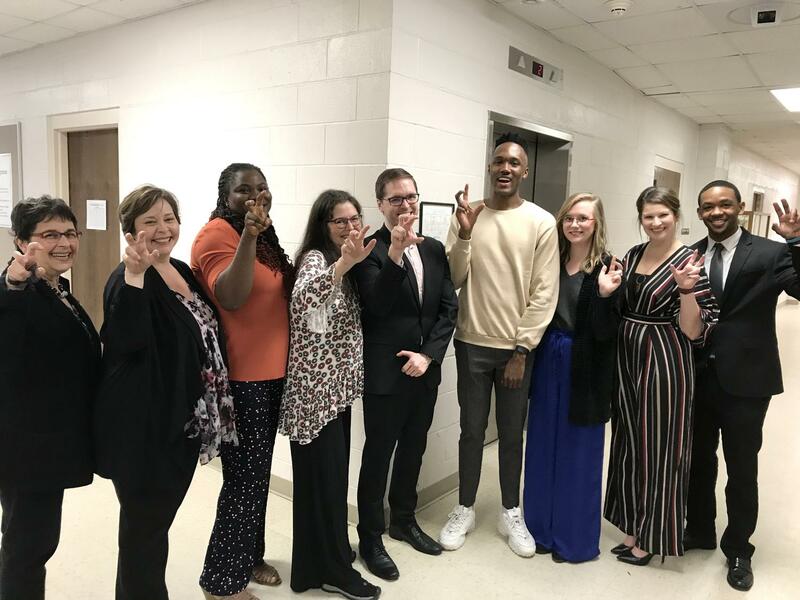 Thursday, the communication department put on “Life After Graduation,” an event that brought former ULM communication majors back to their alma mater to discuss what they’ve been doing since graduation. While six participants were announced, only four made it-two had to miss out due to illness. Tyler Smith and Kami May, both 2016 graduates, were joined by Kendrick Jones and Robin Ozburn, both 2017 graduates. “They spoke about doubts they had in college, their internship experiences and how well ULM prepared them for the ‘grown-up world,’” said Chuck Riddick, a junior communication major and one of the organizers of the event. Riddick alongside Allison Nunnelee, also a junior communication major, are both practicum students who helped organize the event under the watchful eye of Lesli Pace, an associate professor and the program coordinator for communication. Participants took turns sharing their experiences at and away from ULM. After this, the crowd of students took part in a Q&A session with the audience. After the session was over, a reception was held where students could more freely meet and interact with the graduates. All four guest speakers highlighted the importance of doing well at an internship, which is a graduation requirement for communication majors. Kami May was the first to speak about this issue. “Prepare like you are gonna get that job at the end of your internship,” May said. May, like Ozburn, was hired to the company she interned for. She now works at United Way, a non-profit organization, and also, as a morning DJ. During football season, she is a color analyst for high school football. Thursday’s event meant to help students learn from their predecessors and network, but this isn’t the only event the communication department has planned this semester. According to Riddick, more events have been planned for students and will be announced soon.